The subject of modern art is a contentious one. Some get it, others don’t and some make out that they understand but are only trying to be seen as more important than they really are. 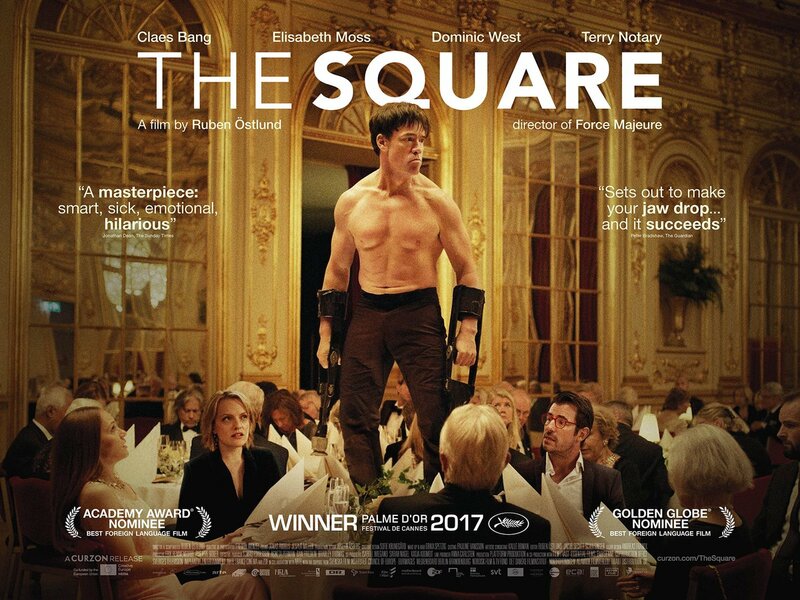 This is the basis to Ruben Ostlund’s new film, The Square, a vicious satire set in a modern art museum, where a square has been laid on the courtyard to represent equality and yet it’s in a world where those who need help are ignored and where men use their position for their own means, this is a film that is shocking, funny and infuriating in equal measures. Christian is a respected curator of a contemporary art museum in Sweden. The latest installation is The Square, an area which is supposed to represent the equality of man and the responsibility of being a human being. Except the one man who is championing this exhibition goes against everything it stands for. Christian’s phone and wallet is stolen, sending him on a bizarre mission to reclaim them while using his position of power for his own means and ignoring the ridiculous actions of a team of PR men who are producing an extremely offensive ad campaign to sell the installation. Ostlund’s film is a massively ambitious affair that tackles several subjects while poking a finger at those who believe the art world is full of people who cannot see any further than their own pretentiousness. As with Ostlund’s previous film, the excellent Force Majeure, this also deals with how a man in a position of responsibility can act so irresponsibly. The film shows two very different worlds. There are the things in the art museum, where piles of gravel are ignored by the public and even sucked up by a cleaner, yet the question is often asked: what is art? Outside the museum is a land populated by those who constantly need help. The word Help pops up throughout the film and this is one of Ostlund’s strong point, showing how humans react when that word is said. Some react while others ignore. Yet The Square tells us to act in a manner that when a people need assistance, we should be there. Christian is a man who should offer help when needed and yet ignores these pleads in order to go on a petty journey to find his stolen phone and wallet, which leads to him causing someone to need help. At the same time, he ignores his responsibilities which could lead to his self-destruction. While Ostlund’s film is brimming with ideas and subplots, sometimes these trip over each other to gain screen time, it’s a film full of inventions, wit and, in one particular scene, involving a man pretending to be a gorilla at a posh dinner, which gets progressively more uncomfortable as the time goes on, this is a film not afraid to tackle diverse subjects while leaving the audience wondering. It’s not a film that will leave you asking questions, an air of ambiguousness runs throughout. It also has a knack for being very funny in one scene and shocking the next. The performances are superb. 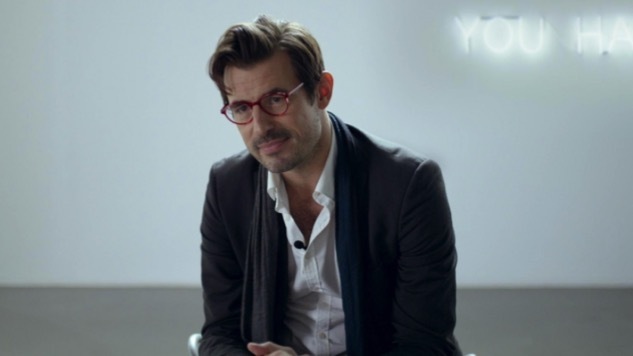 Claes Bang is exceptional as Christian, a man with so many layers, who realises he uses his position of power to influence and bed women, while at the same time, doesn’t see what he needs to that is right under his eyes. Elizabeth Moss is hilarious as Anne, a reporter who beds Christian and, in one terrific set piece, questions the curator on whether he can remember her name. Terry Notary, however, steals the film as the performance artist who takes over a black-tie dinner as a dangerous ape. The Square is challenging, compelling and irritating. It is very long and it does suffer for it, yet it’s always fascinating and you will leave the cinema with so many questions. Ambitious, it pushes the boundaries of cinema and leaves you wondering just how much we would turn to help a stranger if needed to. Definitely one of this year’s most unusual movie experiences.